Facelift procedures can leave patients with dramatic results, both good and bad. Facelift revision surgery is a speciality of Dr. Ben Talei at the Beverly Hills Center for Plastic & Laser Surgery. 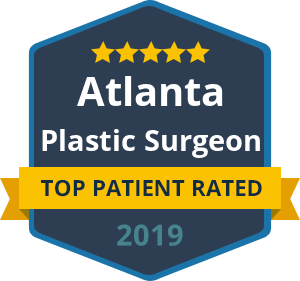 Dr. Talei, a dual board certified facial plastic surgeon can perform revision surgery after a facelift for those with under-treated or over-treated previous facelift results. Facelift surgery requires an immense amount of surgical skill, but corrective surgery must be made with special care to accomplish natural results. Under-treated facelift surgery can cause a patient’s skin to droop again causes wrinkles, jowls and loosened neck skin. While over-treated facelift surgery can leave skin looking tight and the face looking hollow. Not only can these overdone surgeries leave unnatural results, but they can also cause scarring and distortions. During your consultation, you can discuss your issues with the previous facelift and explain your goals for a facelift revision procedure. Dr. Talei can tell you if your results goals are realistic and make a plan of action. Dr. Talei does not have one size fits all cosmetic and plastic surgery procedures. Each patient must undergo a consultation and examination process to ensure the surgery yields completely natural results. Because he has dual fellowship training in Facial Cosmetic and Reconstructive Surgery, Vascular Birthmarks and Congenital Anomalies with Laser Surgery, Dr. Talei is one of the most skilled and experienced surgeons for a procedure like this. If you believe you are a candidate for facelift revision surgery or secondary facelift surgery, contact our Facelift Revision Surgery Specialists at the Beverly Hills Center for Plastic & Laser Surgery and set up your consultation with Dr. Talei.